I would be honored to share a little bit about myself and what it is I’m here to share. 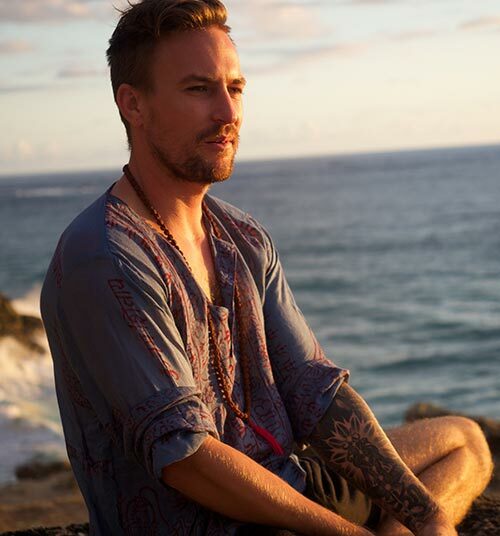 My name is Kurt Iwanina and I am a meditation teacher, intuitive healer, visionary,musician, dreamer and earth warrior. How I came into these magical roles was a very interesting story. Which I will share with you all one day soon when my book is ready to be birthed. I am here to stand in truth, to share from my heart and connect in with the hearts off all. I am here to show every soul that there is always another way. To illuminate the darkness and bring all into a deeper awareness of self. To open your hearts and touch a space so deep within. With the use of sacred space, ceremony and the ancient sounds of the earth. I will be sharing in many shapes and forms, always changing as my creative force directs me to what I need to bring forth. I work from a space of love, compassion and deep respect and honour for all life. In all my workshops, classes and ceremonies I pay my respects to our beautiful Mother Earth, to Great Spirit and source of all creation. I love to share these great teachings that have been gifted and shared with me, many teachers and much life experience have influenced the way I share. I have many people ask many questions about what it is I actually do, for many westerners the ancient practice of energy and sound healing is very unknown or misunderstood. For these amazing and powerful tools have not been taught as a way of life as in past times. We have lost our way, forgotten our past, forgotten the teachings of our ancestors. This is something very close to my heart, a calling I have heard loud and clear. Something that calls from deep within and I se it, I hear it, I know it to be true. I am here to bring forth and awaken the ancient wisdom that lies within all beings. A wisdom that has been forgot, it is a way of living in its simplest form. To live in peace, harmony and balance with all life. And to start we must bring balance back into our being, our body, mind and spirit. I am blessed to work with so many beautiful souls that are ready to step onto this path of illumination. A path of truth, a path of awakening, to truly find yourself and to live from that space. It is an honour in which I will always live in service too. I hold space for each individual to heal, to discover and to awaken to there truth once again. I have spent Many years walking my healing path, turning within to find my answers. I have spent much time facing my fears, healing my pain, letting go of all things that create resistance against change in my life. I am free to stand here attached to no thing, to no thoughts to no beliefs and simply be. To be amazed in every moment, to listen to the universe singing, to hear the earth teachings, to know who I am. I am here each step of the way for all people, if it is simply balance in which you feel you need I will hold space for you to find it. I will assist you in dissolving away all things that no longer serve. And return with great clarity to find your next step upon this magical journey through life. I am here to serve in whatever way I can, to share the many blessings and teachings that have been shared with me. To teach of the ancient ways, to assist in the awakening of all life upon this planet. Most human beings hold onto a belief system that has been passed on from another, it is not there truth but somebody else’s. In living somebody else’s truth how do you find you ? Everything you know has been told from another’s experience. To be free is to live your own experience and to hold no judgment of attachment but to let it just unfold, so naturally, so perfectly. Holding no expectation, no it should be this way, and let it be as it will. Knowing that all things have purpose is to learn and to observe each thing, in a place of no thought and complete surrender.